A counter ambush is a well timed attack on a criminal who has already initiated an altercation – a well timed counter ambush could mean the difference between life and death. A counter ambush is when a self defender waits for a moment of opportunity and attacks the criminal. A common example of a counter ambush is when a criminal is pre-occupied with something else and a self defender draws his/her concealed handgun and shoots the criminal. Criminals usually aren’t the most intelligent people out there, so they often make mistakes. These mistakes create windows to turn the tables and a well timed counter ambush could mean the difference between life and death. As the saying goes, awareness buys us time, time buys us options. You can’t launch a counter ambush if you have no idea what’s going on around you. So always strive to not get sucked into your phone or your current activity and be aware of what’s going on around you. If you spot a threat coming before it gets too close, that provides more options on how to handle the situation. But if you aren’t aware of what’s happening, your options become limited. The most important part of a counter ambush is knowing your limitations with your self defense tools, be it handgun, pepper spray, fists, or whatever else you can get your hands on. 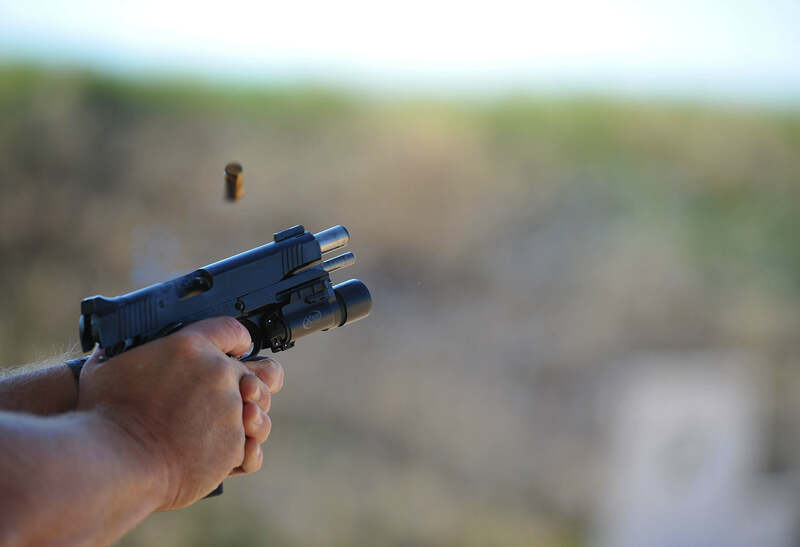 When it comes to a handgun, since that’s the focus of the post, you must know your capabilities. Be honest with yourself. How fast and consistent can you get your self defense tool into the fight? How accurate are you with your handgun? How good are your grappling skills? Without a solid handle on your defensive capabilities, a counter ambush is a gamble. Understanding your capabilities turns a counter ambush into a calculated risk. Contrary to what Oceans Eleven might have us think, most criminals aren’t smart. In fact, many criminals barely understand how a gun works. They often use firearms as intimidation tools instead of ranged weapons. This means they will get up in people’s faces waving the gun around to scare them. This very often creates windows of opportunity. Pay close attention and watch for mistakes. These mistakes could be a dropped gun, a gun that isn’t capable of being fired at the moment, or the criminal getting distracted and looking somewhere else. If you have a fast and consistent draw stroke, these brief moments can be perfect for a counter ambush. At the beginning of the attack, self defenders were at a disadvantage as we can only react to the attack. When a criminal is distracted, such as grabbing his sought after prize, the criminal at the same reactionary disadvantage as defenders originally had. If you have a fast and consistent draw stroke, a criminal only needs to look away for a second for an opportunity to arise. Pay close attention to what the criminal is doing. 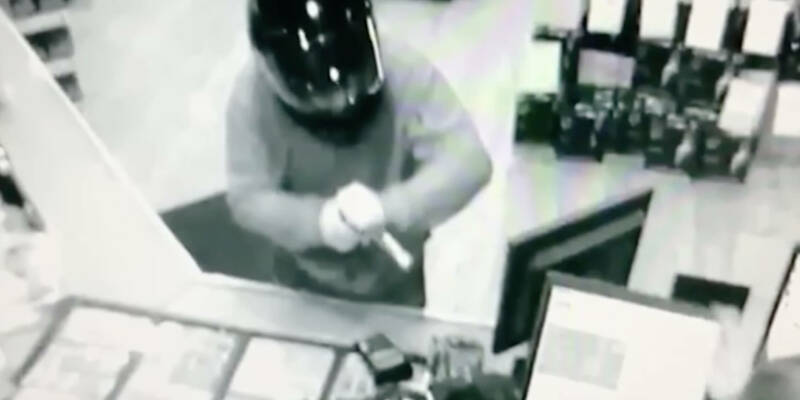 If he looks away and/or becomes focused on something, such as grabbing money out of a cash register, this provides a substantial window of opportunity for a counter ambush. Criminals may become fixated on an object. Even if you are in their peripheral vision, they have to see what you are doing, decide they need to do something about it, and then start taking their desired action. This is all a component of the commonly taught OODA loop developed by United States Air Force Colonel John Boyd. This concept is important for knowing when to time a counter ambush. Some people get turned off by the “OODA loop” as an over used or even misused concept, but it is still a very good concept to understand and apply. OODA stands for “observe–orient–decide–act.” Whenever something happens around us, we must observe what happens, orient ourselves to what is happening, decide what we are going to do, and then act based on that decision. That entire process takes time. Within the context of a self defense encounter, self defenders and criminals alike must go through this process. 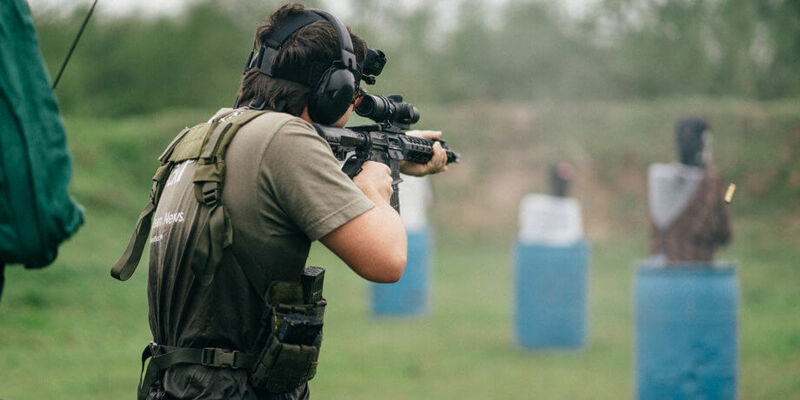 When a self defender decides it is time to launch a counter ambush, there is a delay from the criminal when they are going through the OODA loop, which can aid the self defender in launching a counter ambush. Going for the criminal’s gun or other weapon to disarm the criminal is a risky move, but everything in a defensive encounter is risky. Sometimes it is the only option. When launching a counter ambush and going for the criminal’s weapon, it is important to abide by the 5Ds. Note, I do not recommend going for a disarm strategy unless you have an extensive hand to hand training and practice. 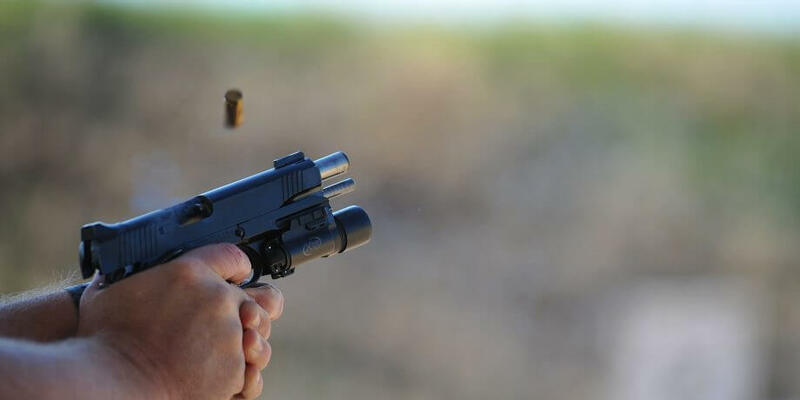 The first step is to deflect the muzzle or knife or other object away from you – simply try to get it in a safe(ish) direction. Then we must dominate the weapon. Go all out in doing everything you can to gain control of that weapon. Distract the criminal by any means necessary, such as poking their eyes, hitting sensitive areas, or any other means of diverting their attention from the weapon we are trying to dominate. Disarm the criminal by successfully taking the weapon away. Finally, disable the criminal by using the weapon or other tools to end the threat. This is a very very high level overview, which is why hand to hand training is so critical. 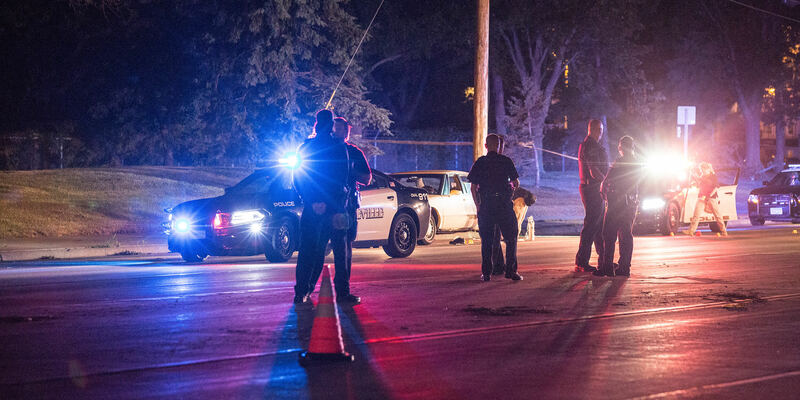 About half of all violent attacks include multiple attackers. There are many variations of this, but a common example is the “trailing accomplice.” This is when one criminal starts the attack and the second (or third or fourth) criminal comes in later or stays hidden and only joins in if needed. If you are going to attempt a counter ambush – it is critical to look for a trailing accomplice or else a counter ambushed could get counter ambushed. Sometimes compliance does not guarantee safety. It’s a very uncomfortable reality, but it’s true. Sometimes the criminal doesn’t want your stuff, the criminal wants your life. Sometimes the criminal wants your stuff and doesn’t want any witnesses. Or maybe you’re trying to give the criminal what they want, but you aren’t doing it fast enough so they shoot/stab/hit you to get you to go faster. Unfortunately, that’s what happens more often than we would like. The critical thing is to never do anything half hearted in a defensive encounter. Don’t half hearted comply or don’t half hearted resist. Half hearted compliance could result in your injury or death as the criminal uses their weapon to encourage you to give them what they want. Half hearted resistance means you could lose the fight and get injured or killed during the scuffle. Whatever you do in a violent encounter, do it completely – either comply fully or resist with absolutely everything you have. How fast can you draw your pistol? Windows of opportunities for a counter ambush are often brief – so self defenders have to be able to get their tools into the fight quickly with consistency. 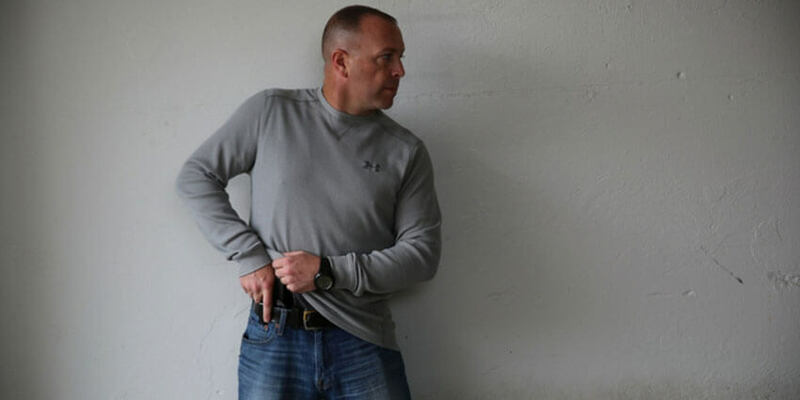 Drawing a handgun from concealment can be very doable within 1.5 seconds with training, and really good shooters can make it happen within 1 second. Here’s an example where a good guy with a gun just draws and goes to town. 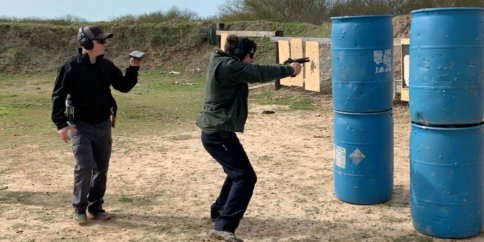 Having a fast and consistent draw stroke and accurate fire gives self defenders options on how to handle a situation. Your draw to first two shots is quite arguably the most important skill a conceal carrier can have since these windows of opportunity for a counter ambush can be so small. How fast can you draw a gun from a holster? 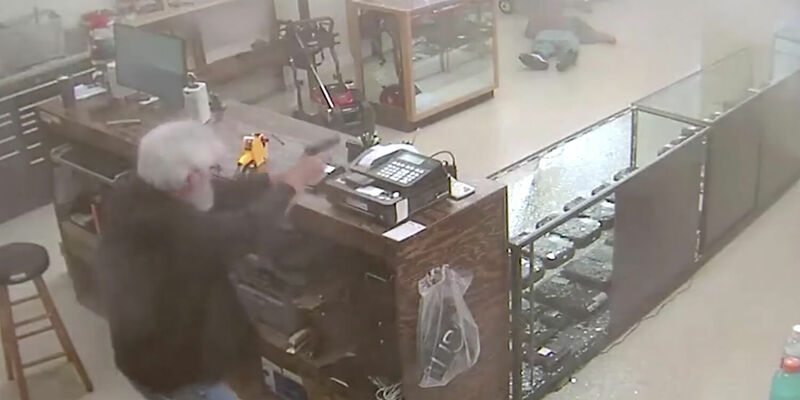 Why Would Someone Be Dumb Enough to Rob a Gun Shop?